This set is a collection of our best selling products that are recommended for daily use. Regular use of these products will restore and rebalance the delicate tissue of your face and will naturally improve your skin and complexion. 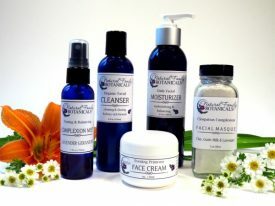 Our Basic Daily Facial Set has all you need for a great start with your new routine. Our Deluxe Daily Facial Set adds an extra benefit of regular exoliation using our facial masque which increases the great results. Both sets come with instructions, to help get you started, and a loofah facial buff. 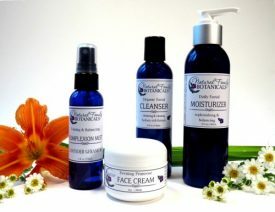 Cleanse, tone, hydrate, and repair…four simple steps for rejuvenated, soft skin!